Planning To Study In Australia,New Zealand or UK ? 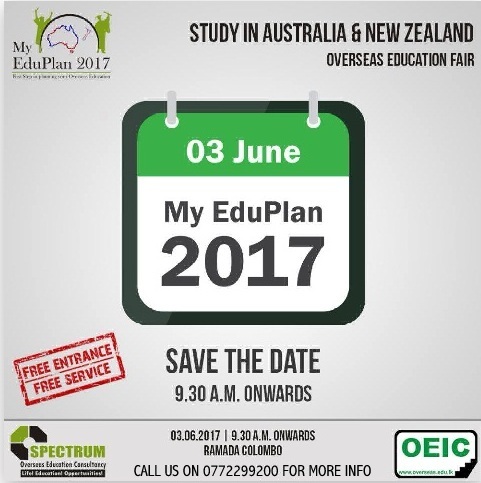 Step into My EduPlan 2017 Free Entrance. Free VISA consultation. Drop by Hotel Ramada 03rd June,2017(tomorrow) at 9.30am onwards. Meet Professionals And Plan Your Future Education Pathways. Visit & Build Your Future With Us!! !